By CNN'S ANNIE GRAYER AND ZACHARY B. WOLF CONTRIBUTED TO THIS REPORT. Sen. Kamala Harris called Saturday for allocating a large federal investment to improve teacher salaries nationwide. "I'm declaring to you that by the end of my first term, we will have improved teachers' salaries so that we close the pay gap," the California Democrat said in Houston to a group of supporters. "Because right now, teachers are making over 10% less than other college educated graduates and that gap is about $13,000 a year, and I am pledging to you that through the federal resources that are available, we will close that gap." Harris' proposal would be the largest ever federal investment in teacher pay, she said. As candidates sweep across key battle-ground states testing their economic messages with potential voters, Harris is the first to announce a plan to allocate funding to teachers — a heavily unionized demographic that is reliably Democratic. Education occupations have unions that represent more than 37% of employees, according to the Bureau of Labor Statistics -- far more than any other occupations. Though Harris didn't provide further details about where the funds will come from, the campaign has said they will unveil the details of the full policy plan next week. "And people are going to say, you're going to hear them say after today, 'Well, how's she gonna pay for it?' 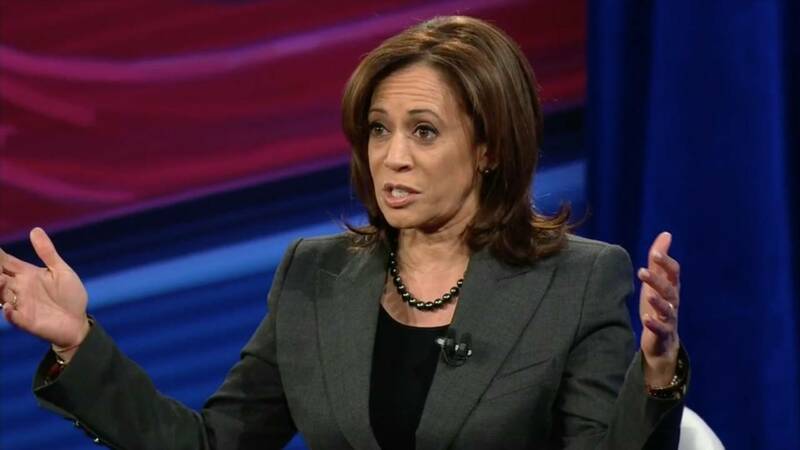 Well, here's the thing," Harris said. "You understand that your analysis is not how much does it cost, the question is what's the return on the investment. And on this, the investment will be our future." Almost all Democrats -- nearly 90% -- said teachers are underpaid in an April 2018 poll by The Associated Press/NORC Center, compared with 78% of independents and a still-solid 66% majority of Republicans. Harris' proposal also comes during an uptick of teachers' strikes across the country. Teachers have picketed everywhere from blue California -- Harris' home state -- to red North Carolina. Teacher salaries nationwide are down compared with recent decades. Adjusting for inflation, they've shrunk 1.6% nationwide between 2000 and 2017, according to data from the National Center for Education Statistics, which compared the average annual salaries of teachers since 1969. US wages more generally have risen in that time, according to a Pew review of BLS statistics. In some states that saw recent strikes, such as Arizona and North Carolina, salaries are down more than 10% before teachers fought for increases. Jotina Buck, an audience member in Houston who teaches third grade math and science at a nearby elementary school said Harris' plan "means a lot." "As a teacher it means a lot because I invest in my students and I don't know that we are always heroes that, we are every day," she said. "So, to be honored in pay would be a great opportunity for us as teachers. ".